When Al and Jerry Lapin opened the first International House of Pancakes in Toluca Lake, California on July 7, 1958, they never dreamed that five decades later the family restaurant they founded would become the American icon it is today. From humble beginnings, we have grown to more than 1,650 IHOP restaurants in 50 states, and the District of Columbia. Internationally, IHOP has locations in Canada, Mexico, Guatemala, the Middle East, The Philippines, Puerto Rico and the U.S. Virgin Islands. 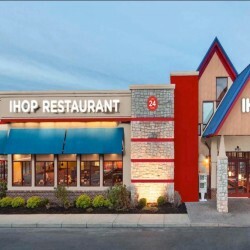 Today, IHOP is the leader in the family dining segment of the restaurant industry. Our 99% franchised system delivers strong free cash flow results that have been a hallmark of the financial performance of IHOP. Average Units Volume includes Applebees which has a total of 2033 units.